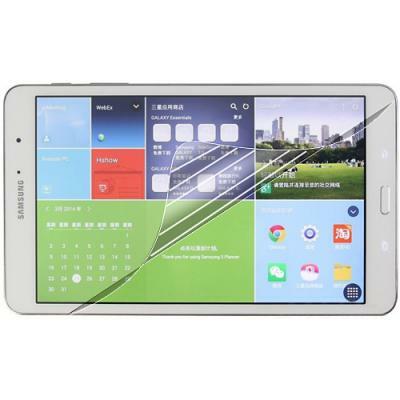 Samsung Galaxy Tab Pro 8.4 SM-T320 SM-T321 screen protector prevents screen scratching and other damage. Newly designed and custom cut to fit the Samsung Galaxy Tab Pro 8.4 SM-T320 SM-T321 screen exactly. Strict manufacturing process results in high quality transparent films. Custom cut to fit the Samsung Galaxy Tab Pro 8.4 SM-T320 SM-T321 screen exactly. Will not inhibit the touch screen at all. Allows you full access to the touch screen while keeping it dust and scratch free. No stains as no adhesive used. Absolutely no bubbles (if the screen is clean during application). Super strong adhesion to screen by vacuum suction. Reduces glare from sunlight or bright lighting. Can be washed and replaced. This is the one Samsung Galaxy Tab Pro 8.4 SM-T320 SM-T321 accessory you can not live without.